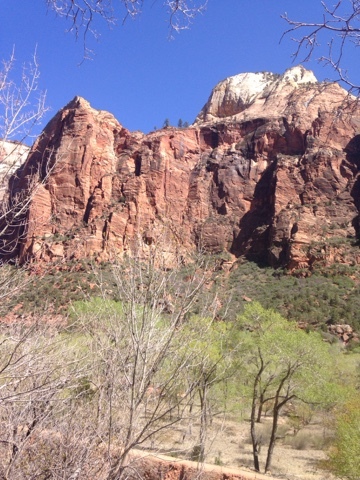 Zion is the fifth of the 5 National Parks in Utah, but in no way are they the only sights you should see in Utah. 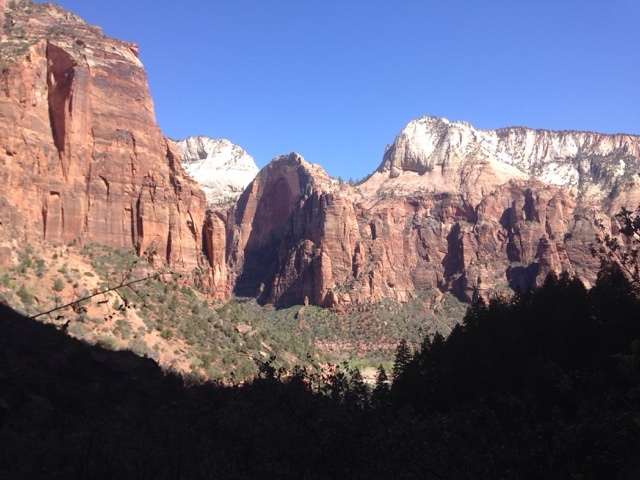 I hiked the Emerald Pools last year and I think it is one of the more popular hikes in the park as there are three levels of where water comes down the Zion Cliffs to form pools. Each pool is consecutively higher in elevation. 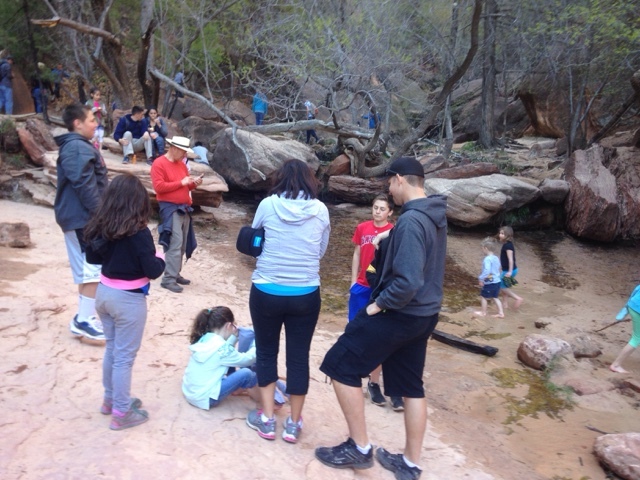 Zion Park was carved out by a river over thousands of years, but the river remains as does many of the tributaries like the now trickling water that forms the pools. After crossing the main river the trail starts to climb but eventually levels out. 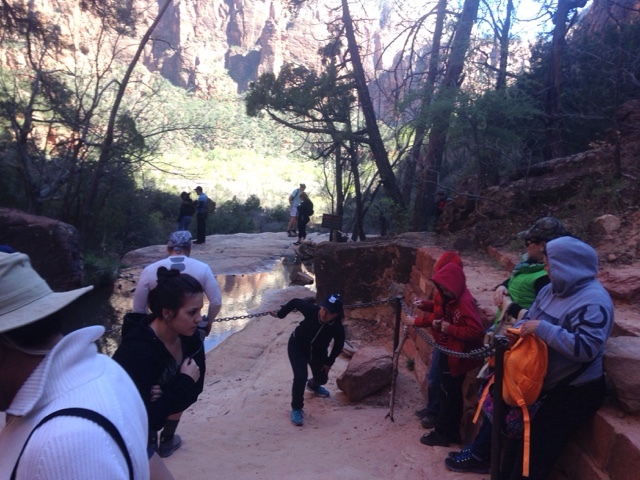 You arrive at the lower pools formed from dripping water on the path. If you don't cover your head you should expect to get a bit wet. 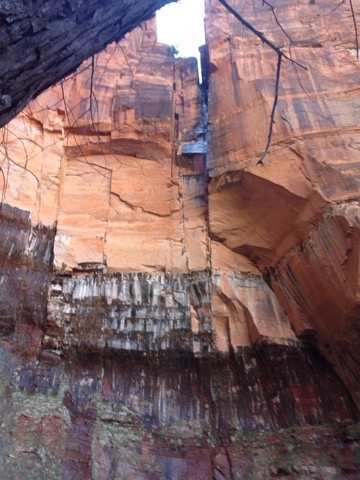 After passing the first level the trail sharply climbs to directly above the lower pools to the middle pools that run off the ledge to the lower pools. Still more get yo the middle pools and don't climb to the upper pools. 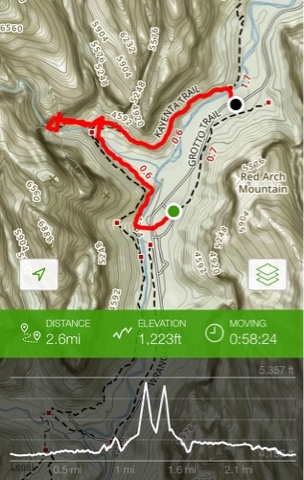 The last section is the steepest climbing much more than the climb from the lower to the middle. You arrive at the upper pools and you face a sheer cliff with the water coming down its face. No wading is allowed! 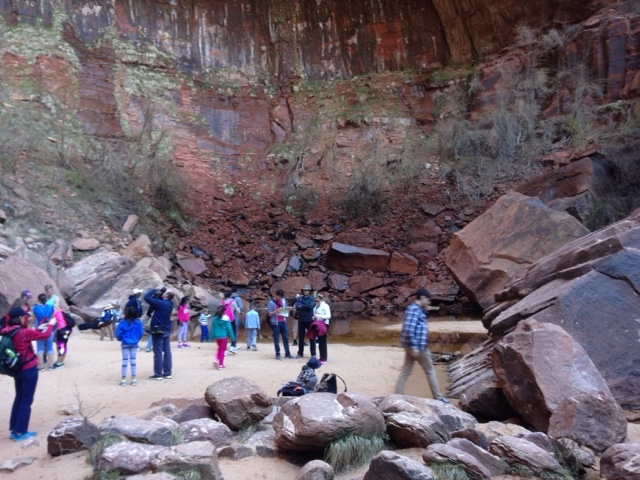 Here is the upper part of the cliff where the water originates and falls to form the upper pools. Looking at the AllTrails map above you can see the starting point and ending point of the hike were in two different locations. 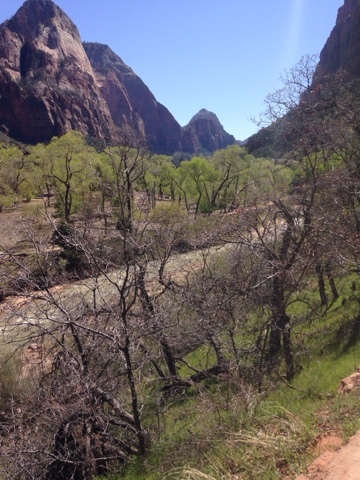 They were two different bus stops of the Zion Valley Bus Route. 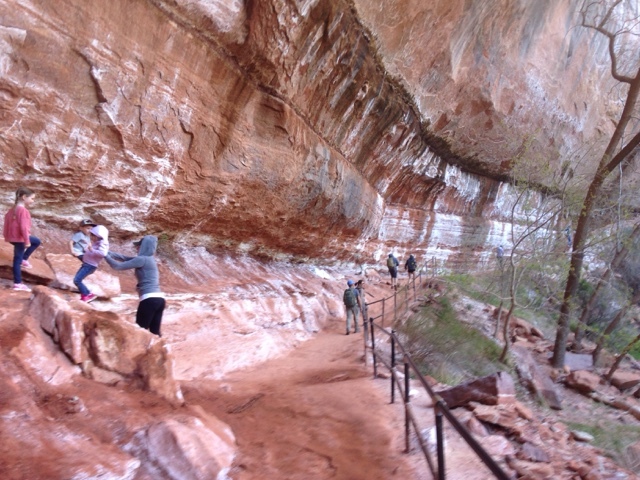 If you get to go to Zion this is a great family hike. As with all hikes bring drinking water.